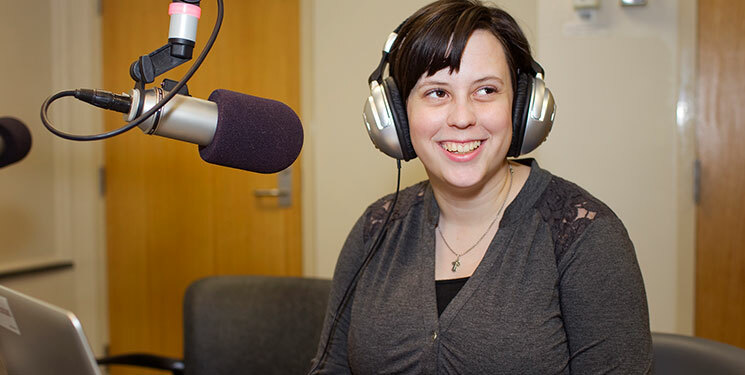 Shannon Roberts loves to write, is at home behind a radio microphone, and gets more than a little excited about Shakespeare. This summer, the print journalism junior will put down her pen, step back from the mic, and focus on her English literature minor in the most appropriate locale: the United Kingdom. The eponymous scholarship honors the recent Manship School of Mass Communication Hall of Fame inductee, who taught journalism at LSU for three decades before his recent retirement. Alumna Kelly Rucker Bingel described Perkins as one of the most influential people in her life. “The background that I got in his classes and working under him at The Reveille is what has made me successful in anything I’ve done professionally ever since,” she said. Bingel shared that Perkins taught her how to interview and speak to authority figures as equals. “When I was a newspaper reporter, that gave me the courage to interview CEOs or members of Congress.” Bingel now works as a lobbyist on Capitol Hill, where she interacts with members of Congress every day. “That skill is most important to me now as a lobbyist,” she said. Bingel and former classmates Robert Pierre and Al Comeaux decided to honor their professor’s retirement with the scholarship. At Perkins’ request, the award was designated a travel abroad scholarship. Bingel said her own travel abroad experience was a valuable lesson for her as a student. “As Mark Twain said, ‘Travel is fatal to bigotry and ignorance,’” she offered. The future radio personality hopeful will study theater and English literature in Edinburgh, Scotland. When class is not in session, she plans to travel the United Kingdom, with definitive stops at Stratford-upon-Avon and the Globe Theatre.